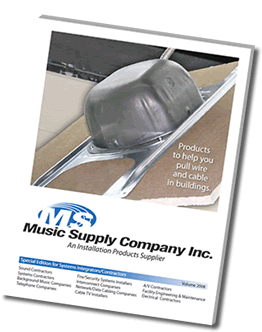 TERMS and AGREEMENT at Music Supply Company, Inc. The following are the terms and agreement ("Terms and Agreement") for the sale of products ("Products") by Music Supply Company, Inc. ("Music Supply") to our customers ("Customer"). All orders are subject to acceptance in writing by Music Supply or a duly authorized agent of Music Supply. Any written acknowledgement of receipt of an order shall not, in and of itself, constitute such acceptance. Orders accepted by Music Supply may be cancelled by Customer upon written consent of Music Supply provided such order is not a non-returnable product. Some products sold by Music Supply are not manufactured by Music Supply and those products may be subject to being a non-returnable product. In the event of cancellation or other withdrawal of an order for any reason, and without limiting any other remedy which Music Supply may have as a result of such cancellation or other withdrawal, reasonable cancellation or restocking charges shall include all expenses incurred by Music Supply, and shall be paid by Customer to Music Supply. Orders may not be cancelled after the order has been submitted by Music Supply to the shipment carrier. Music Supply reserves the right to allocate sales and limit quantities of selected Products among its Customers in its sole discretion. Product specifications and availability are subject to change without prior notice. All payments made must be in US Currency. We accept most major credit cards including VISA, MASTER CARD, AMERICAN EXPRESS, DISCOVER, PURCHASE CARDS and most major bank DEBIT CARDS. Credit Card billing information must be verified prior to shipment of order. Music Supply will not be liable for delays in delivery or for failure to perform its obligations due to causes beyond its reasonable control including, but not limited to, product allocations, material shortages, labor disputes, transportation delays, unforeseen circumstances, acts of God, acts or omissions of other parties, acts or omissions of civil or military authorities, Government priorities, fires, strikes, floods, severe weather conditions, computer interruptions, terrorism, epidemics, quarantine restrictions, riots or war. Music Supply's time for delivery or performance will be extended by the period of such delay or Music Supply may, at its option, cancel any order or remaining portion thereof, without liability by giving notice to customer. The products offered for sale by Music Supply may be subject to patent, trademark, copyright, design and other rights of Music Supply and/or other manufacturers. Music Supply’s entire catalog(s) and website(s), including without limitation, the content of the catalog(s) and website(s) is copyrighted as a collective work under United States laws and applicable international copyright laws. This agreement and any sales hereunder shall be governed by the laws of the State of Texas without regard to conflicts of laws rules and venue shall be in the federal and state courts of Tarrant County, State of Texas, United States of America. The terms of this agreement may not be modified or cancelled without Music Supply's written agreement. Accordingly, goods furnished and services rendered are sold only by the terms and conditions stated herein. Music Supply Company Inc. reserves the right to make changes to this TERMS and AGREEMENT without notice.